Panasonic Eluga I7 has been launched in India for a very affordable price tag. The budget smartphone comes with everything a light user needs, according to the company. It’s definitely the year of big battery capacity, as lots of budget smartphones now packs a bunch in terms of battery. The Eluga I7 also has 16GB storage space, 2GB RAM and bezel-less display. Want to know more? Stay with me. 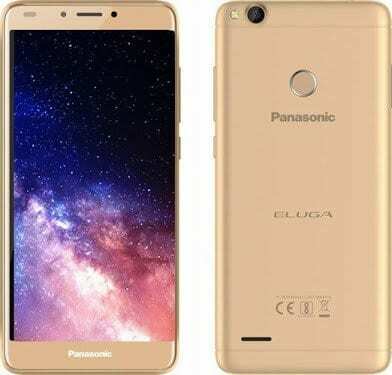 What is Panasonic Eluga I7 Price and Availability Status? Panasonic sure knows how to make Plastic look attractive, the polishing on the body of this device is simply breathtaking. The dual antenna line adds to the beauty of the device as well. At the top left corner, we can see the LED flash coming before the camera. There’s also a rear fingerprint scanner above the Panasonic logo, granting quick anf fast access to the phone. Turning over to the sides, the device is quite bulky, measuring 9.3mm in thickness and weighing 168g overall. You can get it in Black, Gold and Blue colors only. We’ve seen lots of budget smartphones come with the bezel-less display and the Panasonic Eluga I7 is no exception. Offering users the full view experience they crave for, at a giveaway price. With no narrow bezels in sight, users will enjoy taller visuals in landscape mode. Focusing on the screen, The 5.7-inch HD IPS LCD capacitive touchscreen dishes out an 18:9 aspect ratio. Boasts of 720 x 1440 pixels in resolution with 295 pixel per inch density; keeping you entertained. Even though it’s being marketed as a “bezel-less” device, the screen could only stretch up to 72.7% of its entire body. Under the hood is the Mediatek MT6737H chip with Quad-core processor and 64-bit CPU architecture. The 4-cores of processor here could only reach a speed of 1.4GHz with 28nm process technology. While the Mali-T720 MP2 graphics processor handles graphics. This budget smartphone comes with standard RAM and Storage space for light users. There’s 2GB RAM space available for smooth multitasking, while the 16GB internal storage space is ready to accommodate all files and apps. You can upgrade up to 64GB by using the dedicated MicroSD slot; the device runs on Android 7.0 Nougat. Sitting at the top left corner with the LED flash is an 8MP shooter with f/2.0 aperture and 1.12 µm pixel size. The camera boasts of features like autofocus, geo-tagging, touch focus, face detection, HDR, panorama and others. As usual, videos of 1080p will be recorded at 30fps. There’s another 8MP selfie shooter at the top bezel with f/2.0 aperture and 1.12 µm pixel size; coupled with a LED flash. Powering the Panasonic Eluga I7 is a 4000mAh non-removable Li-Ion battery with fast charging technology. With the fast charging feature, it shouldn’t take up to 2.2 hours to fully charge up the battery from 0% to 100%. The Panasonic Eluga I7 is available on Shopping stores from $99 (N35,000) to $149 (N50,000). 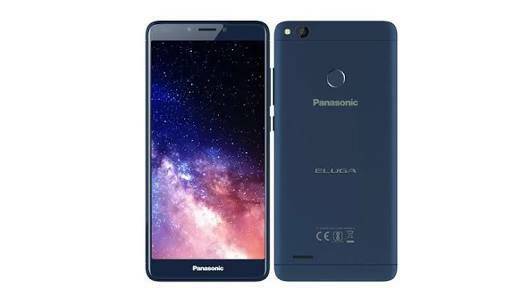 Click on the links above to view the latest Panasonic Eluga I7 price & availability on Shopping stores.